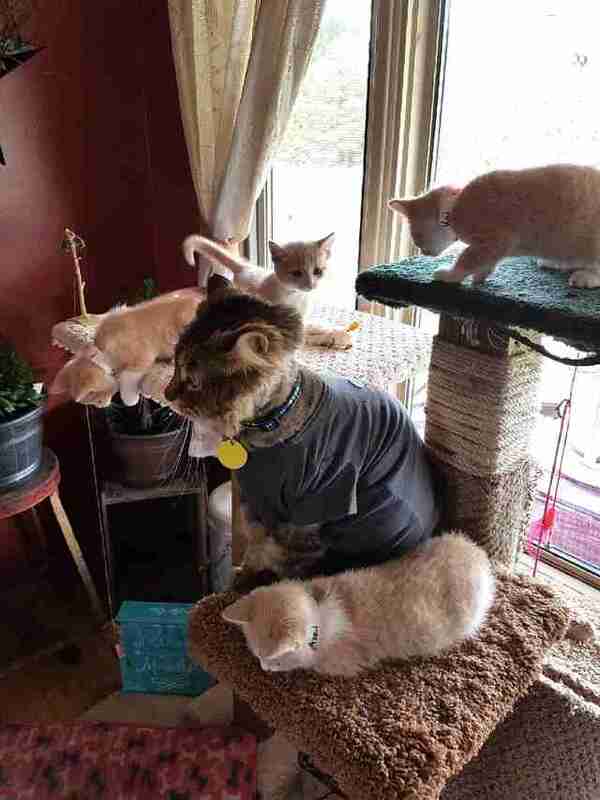 “If they were playing too roughly with each other, and he’d hear them cry, he’d go and check to see if they were OK."
When Tracy Toll brought home four foster kittens a few weeks ago, she wasn’t worried about introducing them to her two dogs, Flash and Tasha, or even to her cat, Morgan. But she did worry about them meeting Apollo, her newly adopted male cat. Toll’s fears weren’t unfounded — unneutered male cats can exhibit aggressive behaviors, although neutering tends to eliminate these behaviors. But in Apollo’s case, Toll worried it was too soon after his operation for these changes to take effect. Apollo’s former owner had surrendered him to the OSPCA, and it was clear he’d been severely neglected, according to Toll. 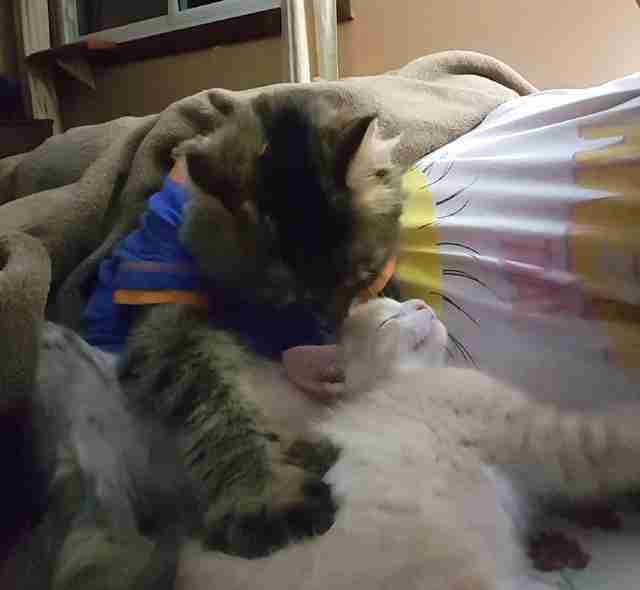 While volunteering at the shelter, Toll fell in love with Apollo’s sweet nature, and she decided to adopt him. 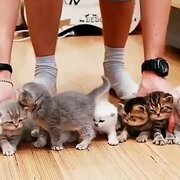 He managed to fit in fairly well with her other cat and two dogs. But Toll didn’t know how he’d be around tiny, mischievous kittens. So when Toll took the kittens home to temporarily care for them, she decided to play it safe and keep them inside her daughter’s room for the entire time they stayed with her. But Toll couldn’t have been any more wrong about Apollo. After this, Apollo quickly became “Mr. Mom,” according to Toll. 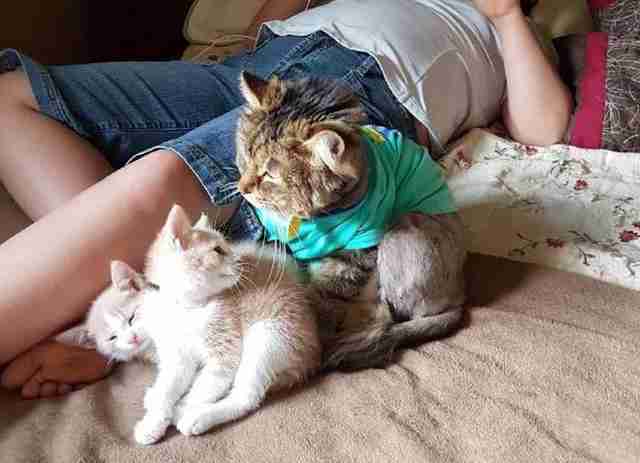 “He would go in [their room] at feeding time, and then I noticed he’d start lying up on the bed, allowing the kittens to lie close to him,” Toll said. 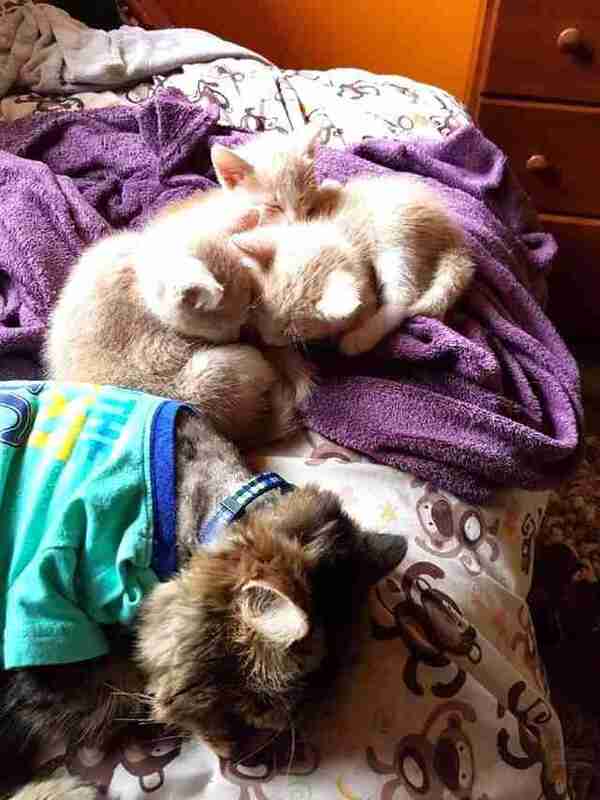 Then the kittens, named Teddy, Axel, Kai and Levi, started lying right on top of Apollo. 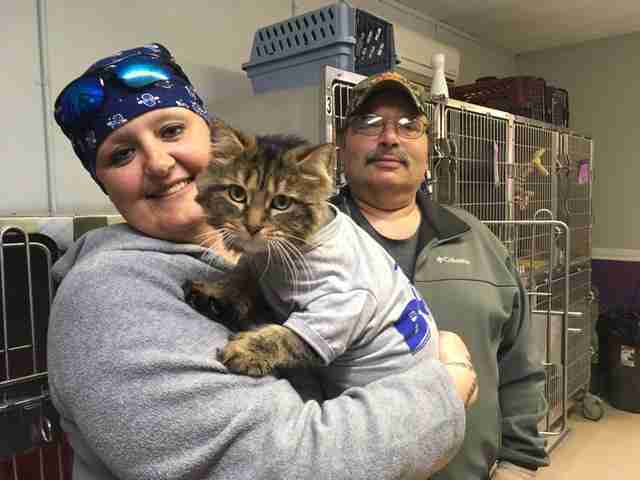 “He would clean them from head to tail, and then my son … sent me a video of Apollo letting one of the kittens nurse off of him,” Toll said. When Apollo wasn’t grooming or snuggling with the kittens, he was playing with them. And like a protective mom, Apollo would step in when things got out of hand. 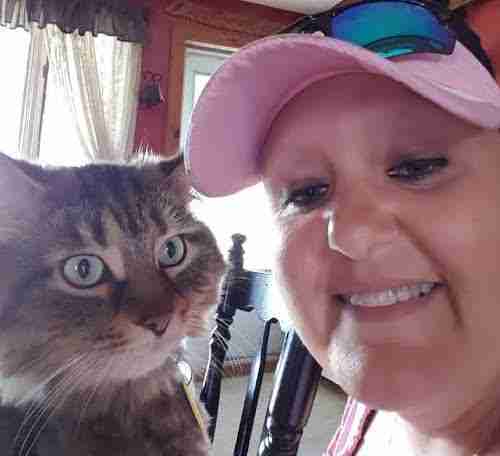 “If two of the kittens ran into the room, and they were playing too roughly with each other, and he’d hear them cry, he’d go and check to see if they were OK,” Toll said. 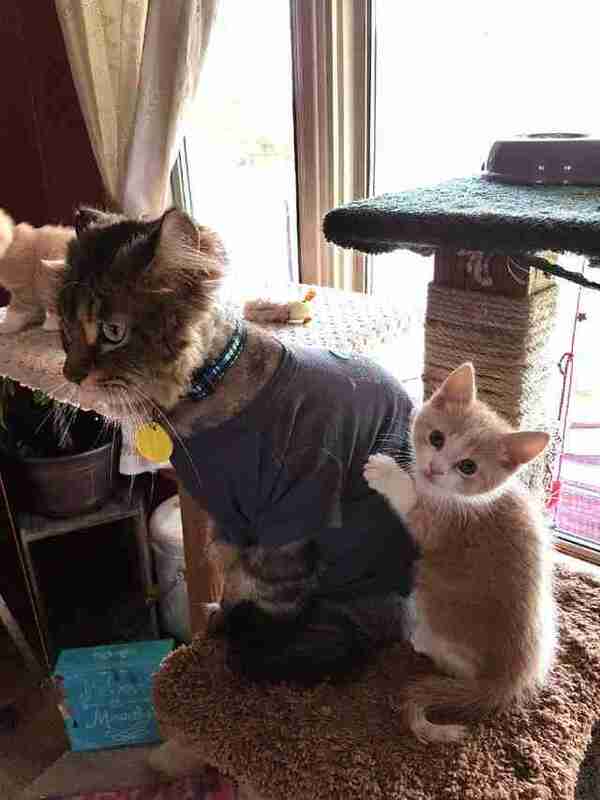 When the time came for the kittens to go back to the shelter so they could find forever homes, Toll felt sad for Apollo. Levi and Kai have already been adopted, according to Toll, and the OSPCA staff expect the other two to quickly find homes as well. 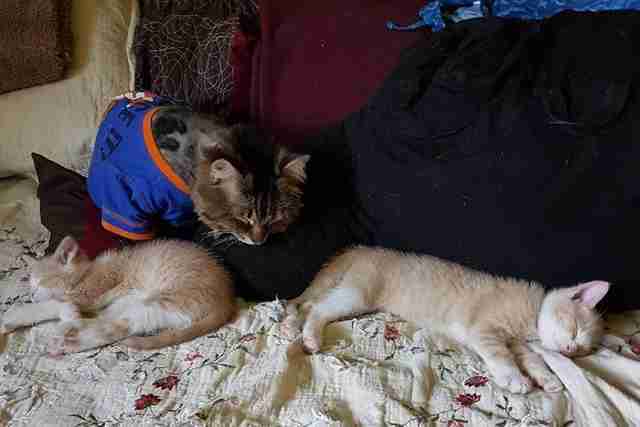 Apollo may miss the kittens, but Toll plans on fostering kittens again — and again and again. And she’s absolutely positive that Apollo will love every minute of it. If you’re interested in adopting Teddy or Axel, contact the OSPCA.